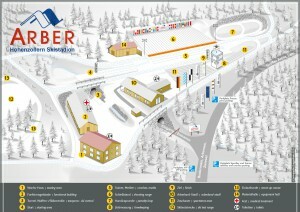 The regional intensive training center at the Großer Arbersee (Great Arber Lake) is the central training and competition site for competitive athletes of the Bavarian Forest and is maintained by the free state of Bavaria, the booster club for the regional intensive training center and the ski union of the Bavarian forest. 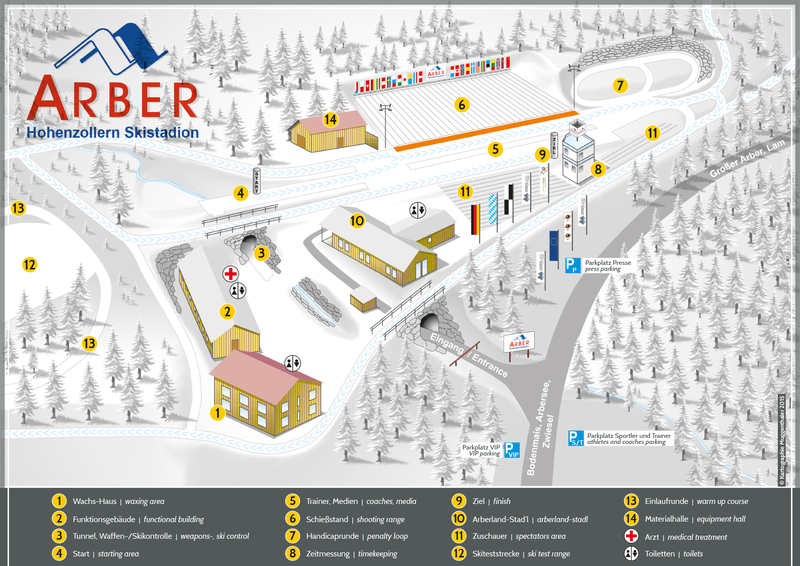 The ARBER Hohenzollern Ski Stadium is a regional intensive training center for skiing with the tasks of talent scouting, promotion of young athletes, promotion of competitive sports as well as implementation of central training courses and official skiing competitions of SVBW, BSV, DSV und IBU. The Ski Stadium is one of the top venues for national and international biathlon competitions such as cross-country skiing. The International Biathlon-Union (IBU) has issued the B-license, which entitled to carry out competitions up to Junior World Championships. Many international competitions have already been hosted in this stadium. The facilities correspond to international standards, thus enabling upcoming youth in sports to train on challenging tracks for national and international competitions. The stadium complex consists of a training and competition area, an athletes’ house, a functional building, a finish house, a building for waxing and an equipment hall. There are eight various course sections with diverse gradients and length that match both the requirements of cross-country skiing and biathlon. 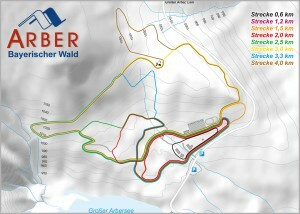 The trails are up to 4000 meters long. The small bore shooting range Type “HoRa 2000” is on the latest state-of-the-art and includes 30 shooting ranges with a target distance of 50 meters. Air rifle stands with a target distance of 10 meters can be provided for youth competitions. Timekeeping is handled completely automatically with the ALGE 8000 system.